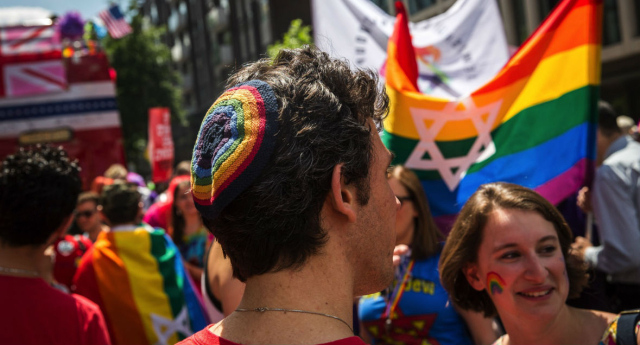 An organisation that works to support LGBT people within Judaism has become a registered charity. Keshet UK has worked with schools, youth movements and community organisations to create a deeper understanding of the specific issues that affect LGBT people particularly in the UK Jewish community. The organisation specialises in bolstering inclusivity, working with a number of rabbis – as well as running over 100 workshops for volunteers. The group was galvanised by poor visibility of LGBT issues in the Jewish community – with some State-run schools accused of promoting groups that suggest homosexuality can be “mitigated and potentially eliminated”. “As a volunteer-run organisation, Keshet UK has gained momentum in the last two years and established itself in the UK Jewish community. “We have built up a dedicated base of volunteers and private donors who have enabled us to grow to a point where demand for our services has stretched our capacity to deliver. Jewish faith leaders were among those to speak out earlier this year, after an ultra-Orthodox man went on a stabbing rampage at Jerusalem Pride. 16-year-old Shira Banki was killed in the attack, and five others wounded – leading Jewish leaders to speak out against the horrific incident.